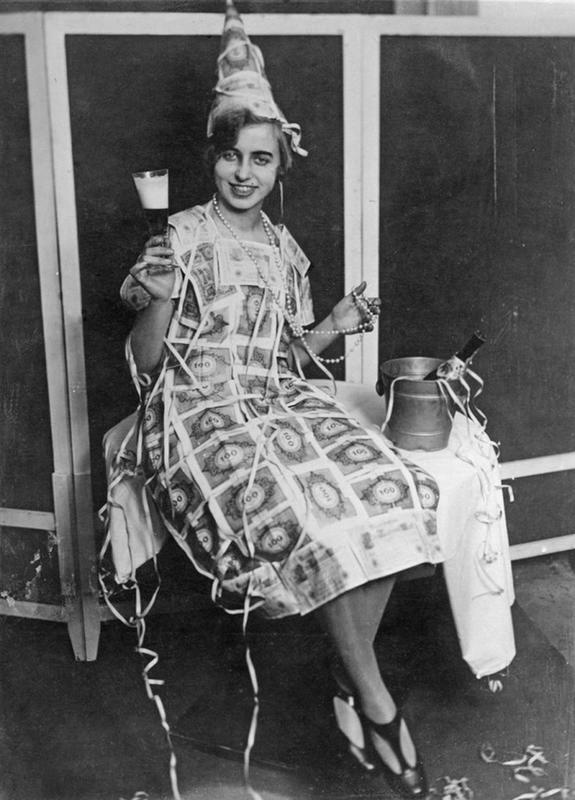 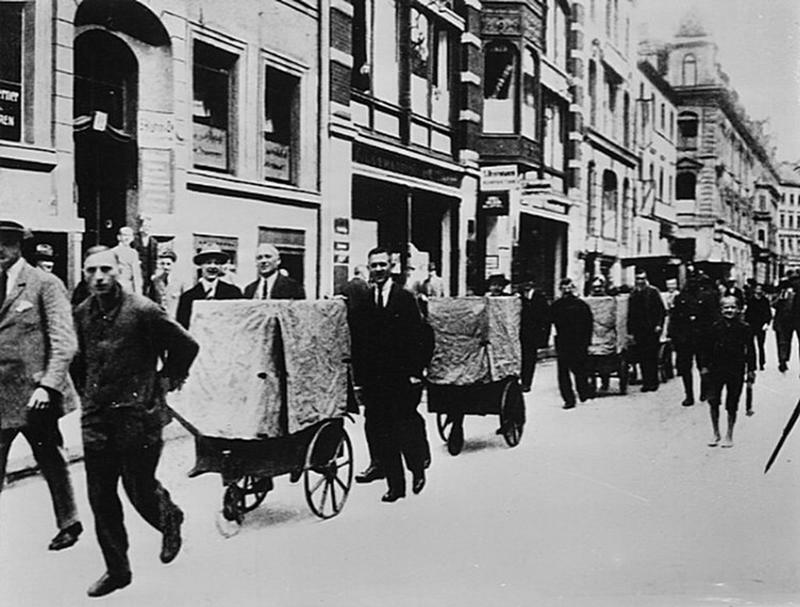 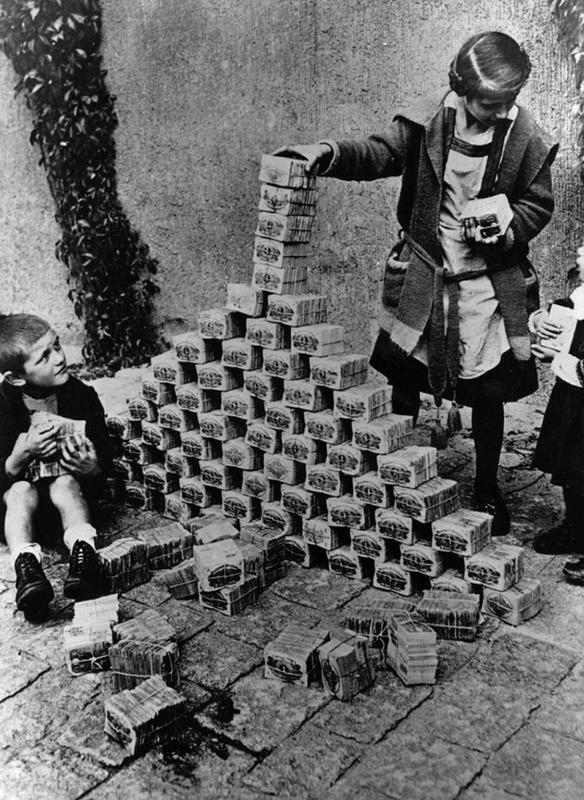 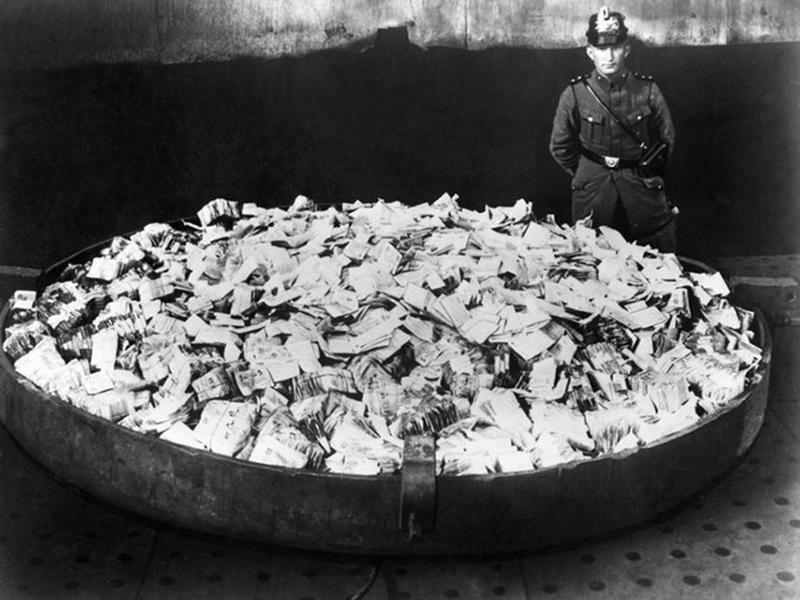 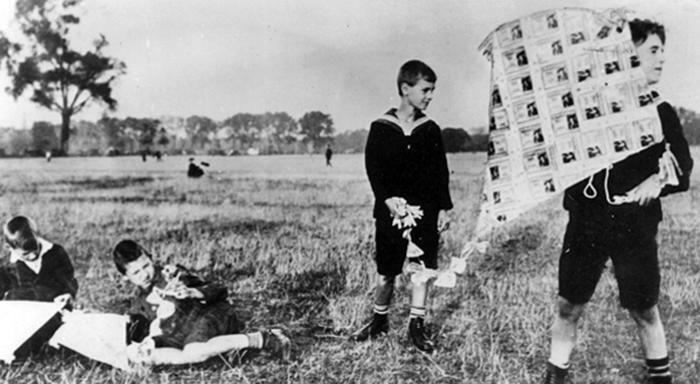 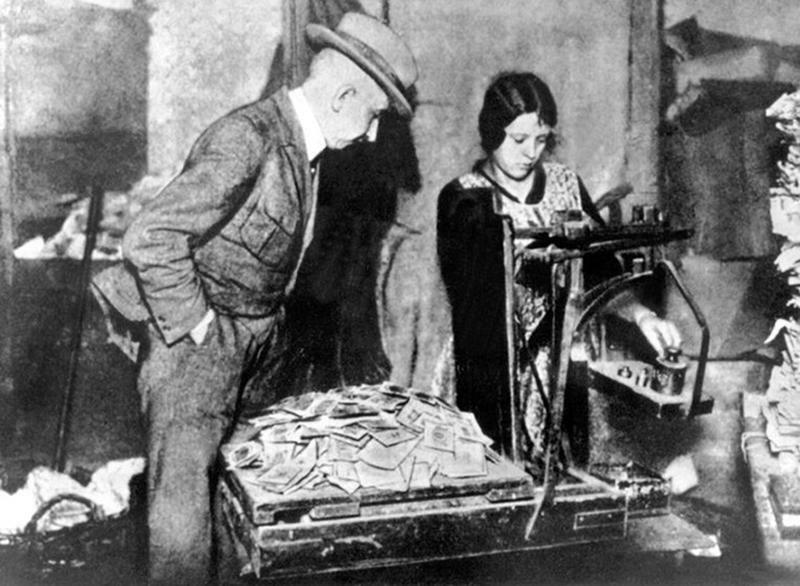 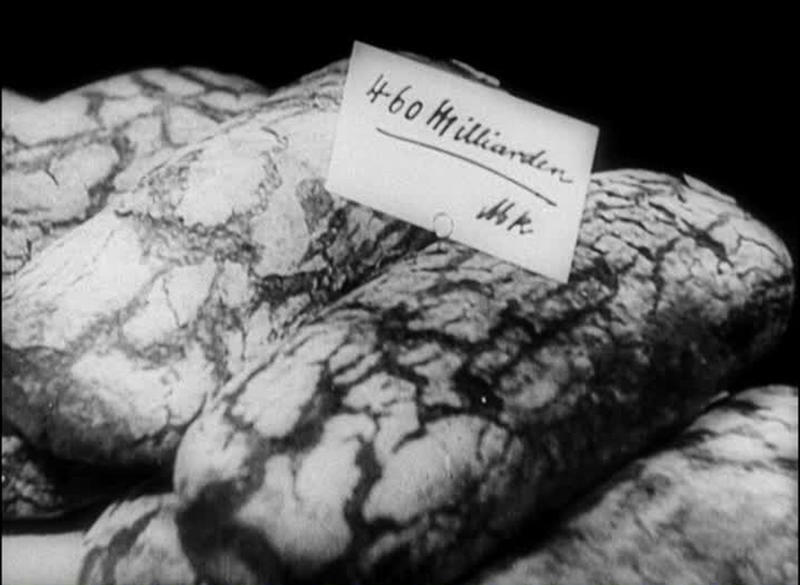 The 1921 - 1924 hyperinflation happened mainly because of three things: the ongoing internal political instability in the country, the occupation of the Ruhr district by foreign troops, and when the Weimar (modern-day Germany) government printed too much banknotes to pay reparations after the 1923 French invasion. 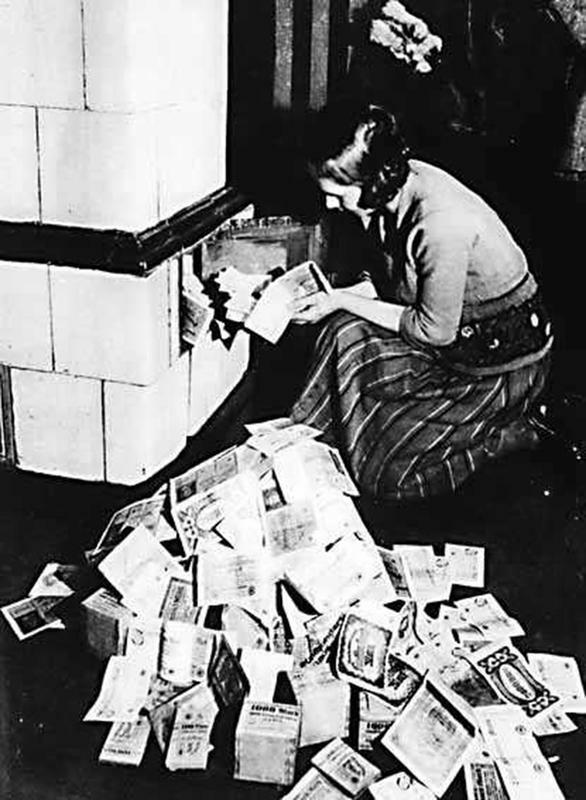 Because the banknotes were not matched by Germany's production, their value fell. 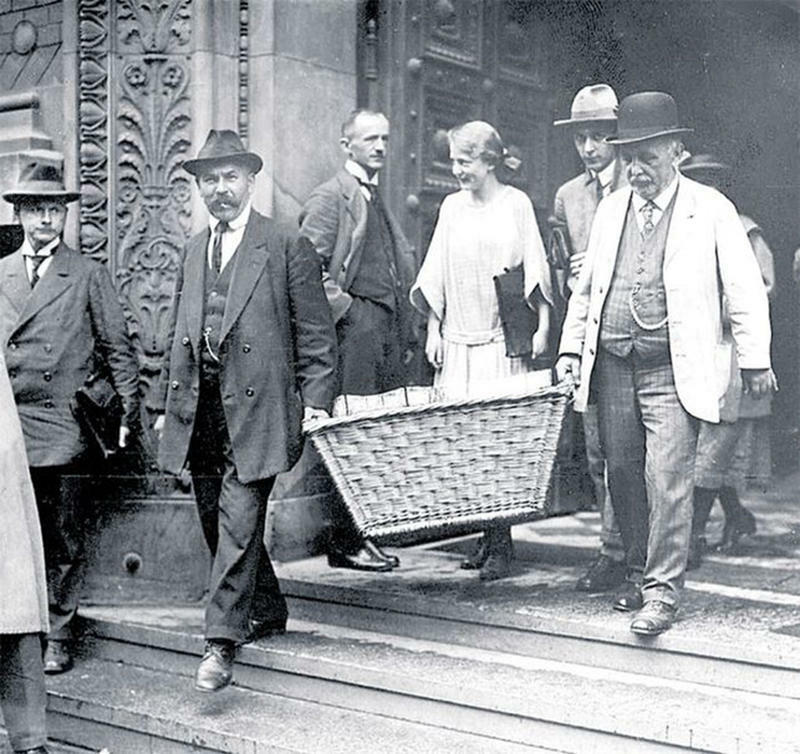 In 1922, a loaf of bread cost 163 marks. 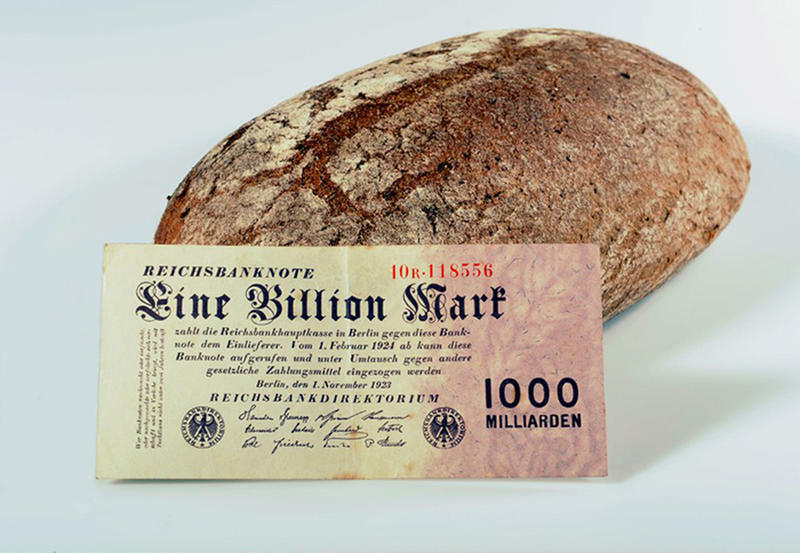 By September 1923, during hyperinflation, the price crawled up to 1,500,000 marks and at the peak of hyperinflation, in November 1923, a loaf of bread costs 200,000,000,000 marks.